Shareholders at Hamburg-based online gambling operator Tipp24 SE have overwhelmingly approved the plan to spin-off its German lottery brokerage business into a public limited company known as Lotto24 AG. 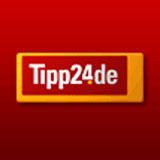 Tipp24 only launched its lottery brokerage business in February as Tipp24 Deutschland GmbH and revealed plans in April that will now see the new concern listed with the Prime Standard segment of the Frankfurt Stock Exchange while existing shareholders are to be offered shares in the new business on a one-to-one ratio. “With today's decision, our shareholders have laid the track for the successful further expansion of the online lottery brokerage business of Lotto24 in Germany,” said Hans Cornehl, Chief Executive Officer for Tipp24. Tipp24 stated that 99.99 percent of shareholders voted in favour of the spin-off plan while it is to begin the process of transferring Lotto24 shares to the accounts of shareholders later today with first trading planned for July 3.